Most homeowners don’t realize the importance of ducts. While they pay close attention to heating and air conditioning, they lose sight of their duct systems. Air ducts are an integral part of your HVAC unit as they are the pathways responsible for distributing healthy air throughout your home. Cooper Brothers, Inc. provides expert duct repair and installation services to ensure that your duct system is working together with your HVAC system to provide necessary air flow. If there is a problem with your ducts, your heating or cooling systems will not function properly and the air distribution will be weak. The effectiveness of your HVAC unit rests on the quality of your duct system. If your ducts aren’t installed properly, you will run into several issues, including insufficient airflow, poor temperature control, or unhygienic air quality. If you’re experiencing air duct problems, Cooper Brothers, Inc. has a highly qualified team that will repair leaky air ducts, replace old systems, and maintain your units! 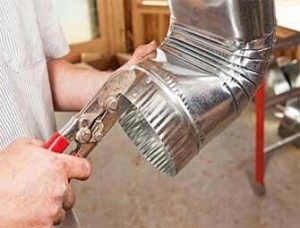 If your HVAC system is not cooling or heating your home as effectively as it should, the cause could be a leaky duct. Air will escape through leaky ducts, therefore, hindering the air flow to and from rooms throughout your home. If you are unaware of leaky ducts, you will most likely be raising your thermostat setting to get a room at your comfortable temperature, resulting in your HVAC system working harder. Unfortunately, it will bring you astronomical energy bills. Cooper Brothers, Inc. is committed to providing air duct services, including repairs, replacements, maintenance, and energy audits to ensure your energy bills are protected! If you want to check the quality of air in your home, turn to Cooper Brothers, Inc. as your trusted provider. Our experts will diagnose your duct system and provide energy audits and duct testings to detect leaks or irregularities. Call us at (408) 649-2008 to schedule an appointment or submit an online form to get started immediately.